Sweets for the sweet? Yep. You don’t need some other kind of pie to sweeten your gourmet meal even a little bit. Our Dolce pies blend Italian perfection with good old American classics, bringing you the perfect ending (or beginning) to your favorite pizza adventure. 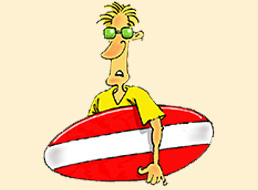 Suh-weet! Straight from Nana’s recipe box, her grande cinnamon rolls transformed into a pizza: cream cheese & Nana’s secret blend of korintje cinnamon, brown sugar, butter & a little love on top. 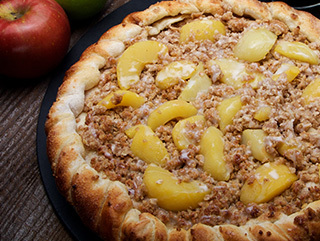 Our sweet & crunchy streusel atop a bushel of fuji apples all warmly flavored with butter, sugar & cinnamon, on thick crust. 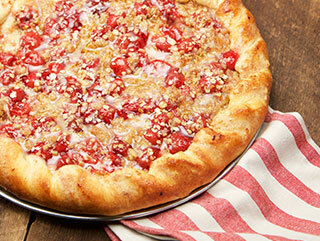 Our sweet & crunchy streusel atop cherries all warmly flavored with butter, sugar & cinnamon, on thick crust. The greatest kid-food stand-by ever created, & even better as a thin crust pizza! 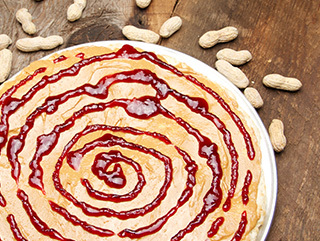 Only, PB&J isn’t just for kids anymore. Creamy peanut butter & grape jelly. 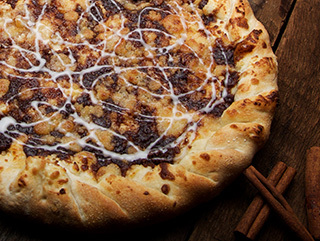 S’more, s’more, s’more… You’ve been shouting, we’ve been baking. 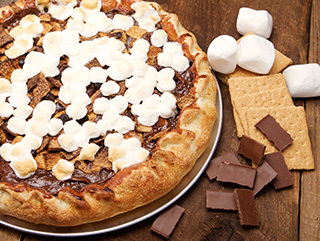 Semisweet chocolate, marshmallows & sweet & crunchy grahams on thick crust. Campfire not included. 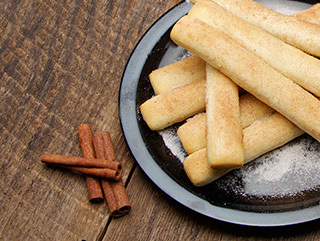 Same bread-sticks, but buttery sweet & cinnamony. ** Dolce pies also available in grande & medio sizes.